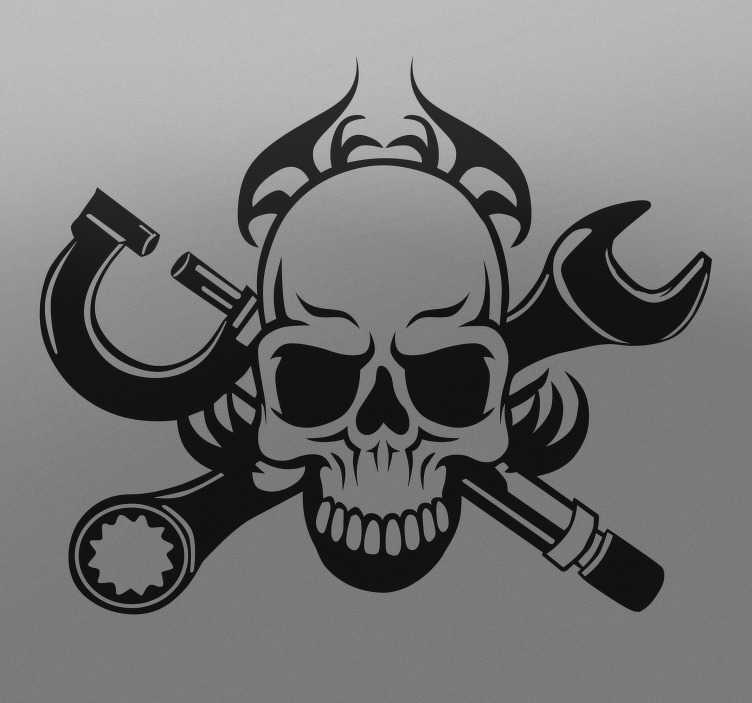 Monochrome sticker with a picture of a skull with crossed tools instead of the common bones design. A recreation of the classic pirate symbol with a style inspired by the world of tattoos. This drawing is great for everyone that loves vehicles. It is perfect for decorating the frame of your bike, the trunk of your car or even the walls of your workshop or garage. Customise any surface or space with a spectacular and intimidating illustration. Available in various sizes and colours. Cheap decals, easy to use and great durability ideal for bikers like you.